As an American who grew up in the northern hemisphere where Christmas was meant to take place during the snowy and cold weather according to the children’s books that I read when I was growing up. During the Christmas holidays, I always experienced cold weather, including ice or snow from time to time. Many people who I knew stayed indoors, sat by a fireplace, and wore sweaters. Some did skiing or ice skating or did play in the snow. Thus, visiting a country in the southern hemisphere, New Zealand, during the Christmas holiday was a cultural shock as everyone was hanging out at a beach or a park, drinking beers, barbecuing, splashing into the water, and playing cricket. This holiday festivity reminded me of the Fourth of July celebrations in the United States. Two men from Brazil relax by Lake Wakatipu, a large lake by Queenstown, New Zealand. 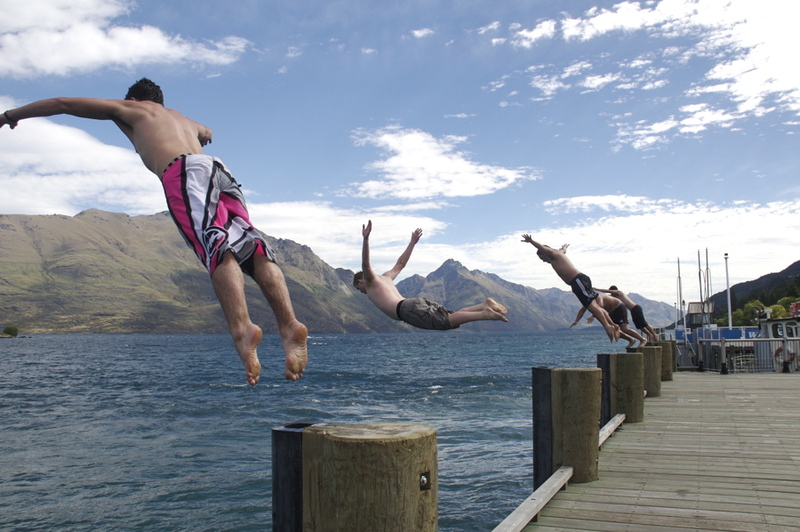 Men from Brazil take a big dive into the Wakatipu, a large lake by Queenstown, New Zealand. A family enjoys hanging out by Lake Wakatipu, a large lake by Queenstown, New Zealand. 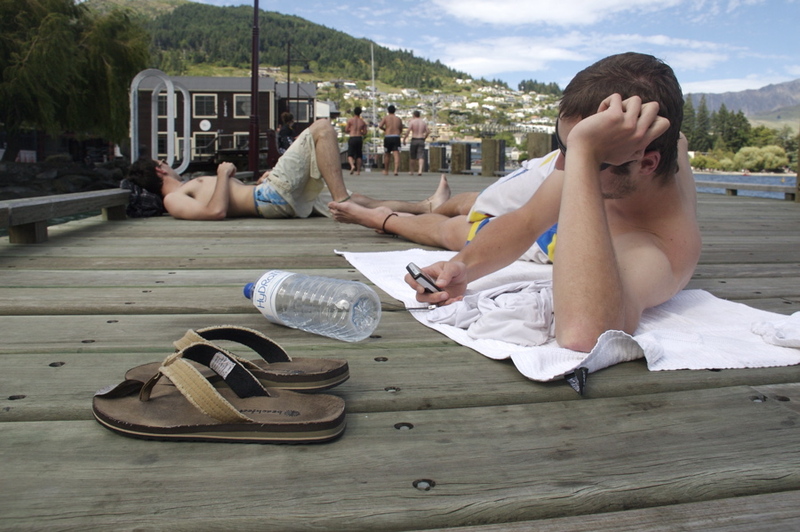 A group of tourists enjoy relaxing at the Queenstown Gardens. 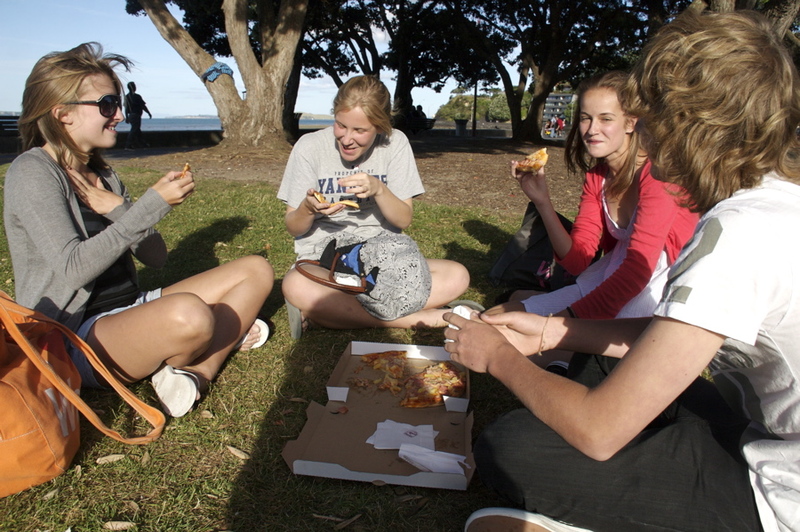 A group of young people are enjoying pizza at Mission Bay in Auckland, New Zealand. 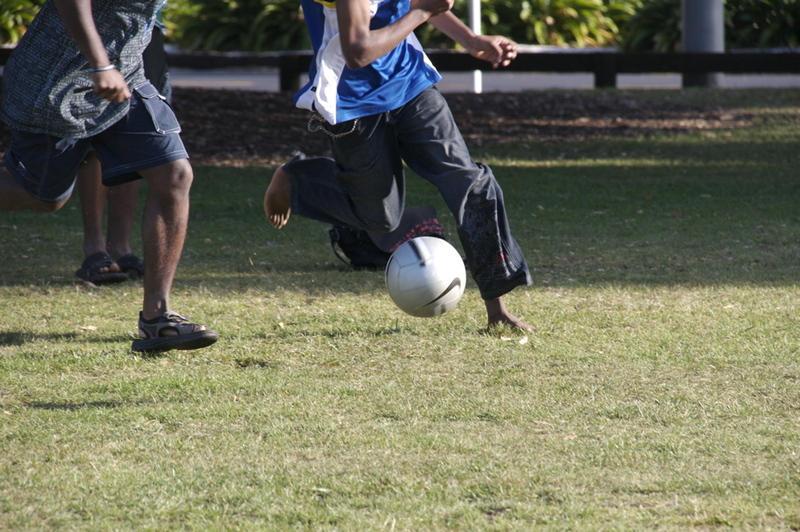 A group of men are playing soccer at Mission Bay in Auckland, New Zealand. 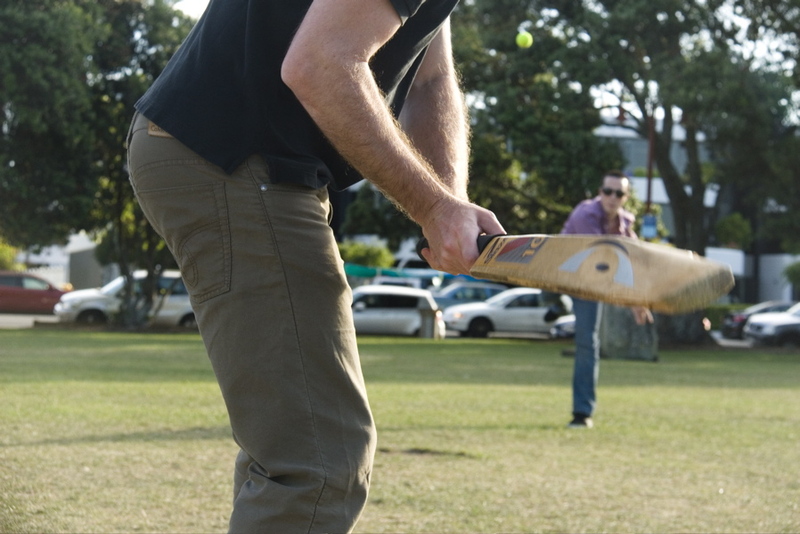 Two New Zealanders are playing cricket at Mission Bay in Auckland, New Zealand, a popular sport in New Zealand. A group of Asians enjoy a lunch at Shakespear Bay on the Whangaraparaoa Peninsula in Auckland, New Zealand. 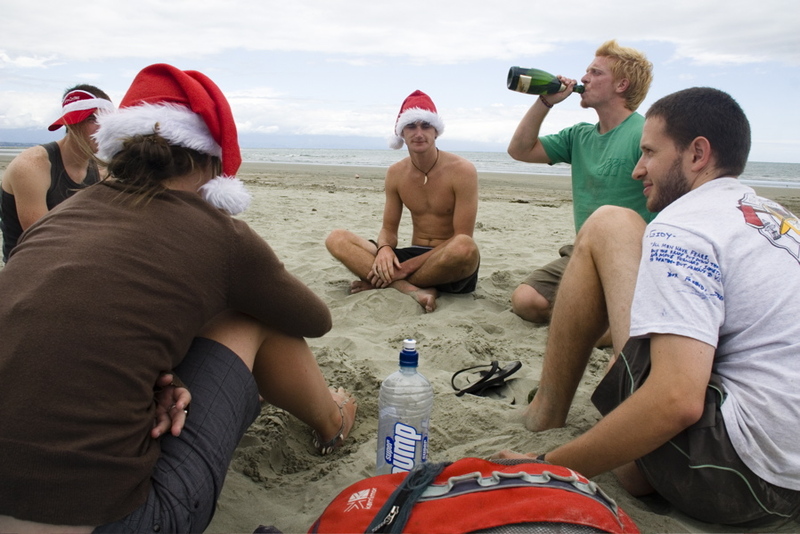 A group of people are enjoying the Christmas holiday at Nelson Beach in New Zealand. 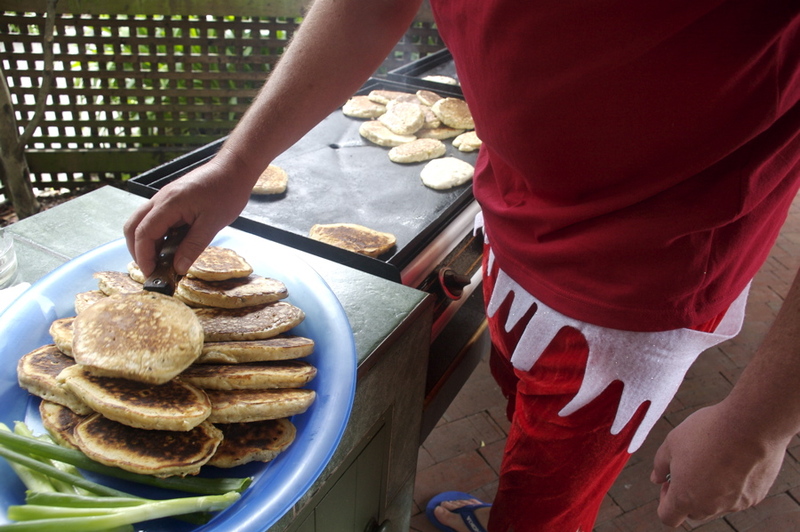 A New Zealander cooks pikelets on Christmas day.